Who in the world told you that Gene Hackman is Doyle Isakiah Popeye, Jr? This is not true. He played a role once where his character name was Doyle Popeye (French Connection). His real name is: Eugene Allen Hackman. I can’t believe someone actually thought this was a serious story. 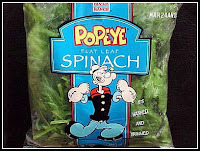 Popeye didn’t have parents, so he didn’t have a brother. Obviously the last comment came from someone who is humor-challenged. He/She didn’t understand this article is funny and not meant to be true. 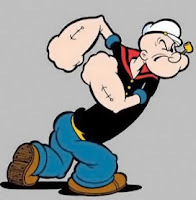 Does he/she actually think the real Popeye was a living, breathing human? Gene Hackman could not possibly be Popeye’s brother, unless Gene Hackman was a cartoon character. Hello!?? It was a joke. Somehow I missed the point. Probably lost in translation :)Anyway … nice blog to visit. 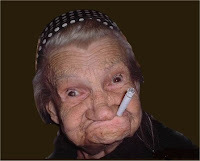 Hehehehehe. . . . you just crack me up. Oh, btw, the character’s name in the French Connection was Popeye Doyle, not Doyle Popeye. Also, love the boogieman photo – did a drawing of my own boogeyman for a Halloween design for my store – I just knew the darn thing had a recipe for cooking me!